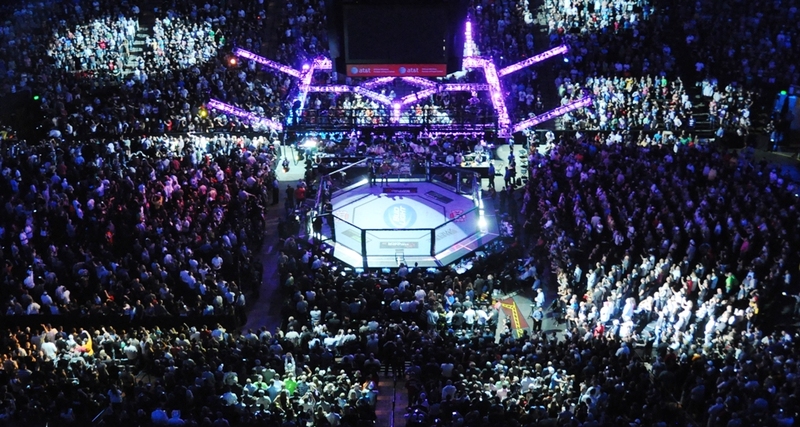 The UFC makes a return trip to New York, this time heading to Long Island and the Nassau Coliseum for UFC on FOX 25. In the main event, Long Island native and former middleweight champion Chris Weidman looks to end his recent losing streak when he takes on Kelvin Gastelum. Weidman is just a few months removed from his knockout loss to Gegard Mousasi, which put him in a perilous position with three consecutive losses. Gastelum is coming off a no-contest against Vitor Belfort in Brazil which was previously scored as a knockout win in favor of Gastelum before he failed a drug test for marijuana. Gastelum had won his prior two fights with victories over Johny Hendricks at just above the welterweight level and Tim Kennedy at middleweight. The co-headliner features featherweights Dennis Bermudez and Darren Elkins. Elkins comes into this fight riding a four-fight winning streak. Elkins is out to add the first big name to his resume. Bermudez will try to get back into the win column following a loss to Chan Sung Jung in February. Thomas Almeida and Jimmie Rivera take part in a bantamweight showdown to see who can make the next step up to become a contender at the 135-pound level. At light heavyweight, Gian Villante takes to the cage on home turf against Patrick Cummins. The UFC on Fox 25 card includes five preliminary-card fights on UFC Fight Pass at 4 p.m. ET. The remaining four prelim bouts take place on Fox at 6 p.m. ET, and the main card, also on Fox, begins at 8 p.m. ET. Combat Press writers Chris Huntemann and Sal DeRose are here to get you ready for all the action in this edition of Toe-to-Toe. The headlinder is a battle of redemption. For Chris Weidman, redemption means winning his first fight in over two years. For Gastelum, it means hitting weight on the scales and stepping into the cage to fight — both of which have been far from a guarantee with any of his recent booked fights. Which man achieves redemption? What happens to the loser? Huntemann: Man, remember when Weidman was going to be the Great White Hope? There was definitely a time when he looked like he was going to be the next dominant champion in the UFC. Weidman did what no one else could do at the time and dethroned Anderson Silva to win the middleweight title, back when Silva looked unbeatable and appeared to be the greatest mixed martial artist of all time. Then, Weidman defeated Silva in the rematch — yes, even though it was a TKO caused by Silva breaking his leg, a win is still a win — yet Weidman continued to have his doubters who thought his wins over Silva were flukes. A gutsy performance and title defense against Lyoto Machida and a demolition of Vitor Belfort won over many of those doubters, and Weidman looked well on his way to all-time great status. Then Weidman ran into a buzzsaw named Luke Rockhold, who beat up Weidman for nearly four full rounds to win the middleweight title. We all know what happened to Weidman after that, namely Yoel Romero’s knee to Weidman’s temple and a controversial loss to the since-departed Gegard Mousasi earlier this year. So, yeah, Weidman’s just having a tough go of it right now, and his tumble from the top of the heap in the UFC has been rather dramatic to witness. Weidman actually may have been usurped by his opponent on this card. Gastelum has looked rejuvenated since moving up to middleweight and absolutely running through Belfort earlier this year. I still consider it a win for Gastelum, which was only vacated because of corrupt and shady Brazilian officials who couldn’t seem to handle watching one of their legends get knocked out (again). Now that I’ve given you a history lesson on the two participants in this fight, let me explain why I’m picking Gastelum. There was just no legitimate reason for Gastelum’s win over Belfort to be vacated. He was aggressive from the onset, displayed excellent striking and footwork, and showed that he always seeks the finish. The move to 185 pounds was exactly what Gastelum needed to do to put his career on solid footing. 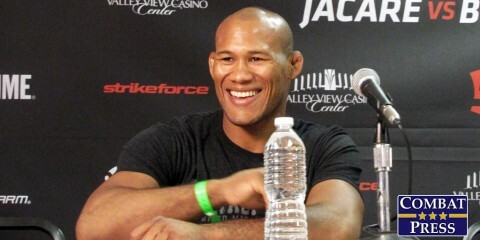 He’s motivated, too, after what happened following his fight against Belfort. 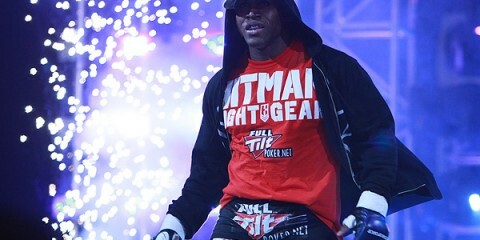 He wants to prove himself all over again and show he’s ready to enter the top 10 at middleweight. Another loss really puts Weidman in a bind, and it wouldn’t be shocking if he’s given his pink slip. Actually, it would be a huge shock, given where Weidman stood in the UFC not even two full years ago. DeRose: I’m going the opposite way and picking Weidman in this fight. I don’t put too much stock in Gastelum’s vacated win over Belfort, considering it’s post-TRT Belfort. That Belfort is a husk of what he used to be. All the bite that came from Belfort is gone without that little edge. We talk about Weidman’s current losing streak like it’s some long-lasting thing. Yes, it’s been two years, but he has only fought three times in that span. One of those fights was a title contest with Rockhold and the other two were against two of the best the middleweight division has to offer. You can’t act like those are extremely easy fights to win. If Weidman loses for the fourth time, then we can start talking about Weidman’s downfall. Honestly, I have not even a clue as to what you do with a four-fight losing streak. You can’t cut Weidman, because then Bellator swoops in, picks him up and gives the rival a big middleweight addition. The addition of Weidman to Mousasi would give Bellator a very compelling division. Best bet is for the UFC to give him an easy fight to win. If he were to lose there, then it’s time to talk walking papers. Right now, though, we aren’t even past the Gastelum fight. Weidman is a better all-around fighter. He should be able to use his superior skill set to beat Gastelum and slow the middleweight newcomer’s run down just a tad. It seems like Weidman needs to regain his confidence, and if he can score early and work his wrestling, he can get back into the swing of things. 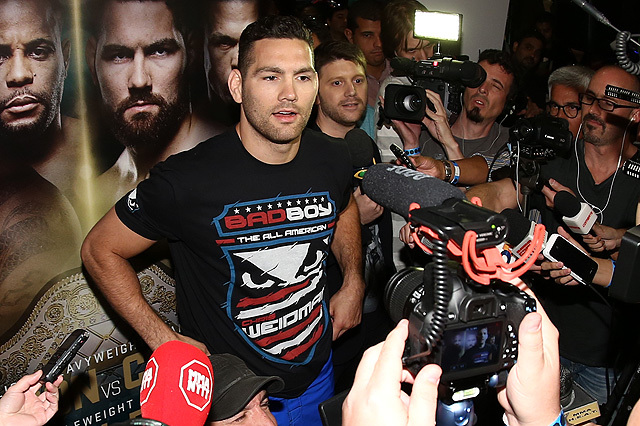 In his last few fights, Weidman hasn’t looked like the killer he once was. However, it seems it’s more a case of mental afflictions than anything to do with his actual game. Weidman’s run was based purely on his ability to score the knockout in some big moments. 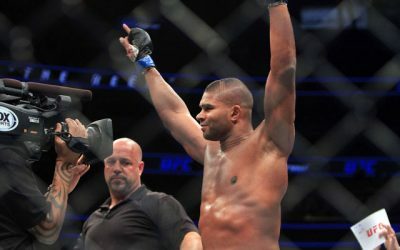 The real, true turning point in his rise to the middleweight crown came in his knockout of Mark Muñoz in a fight he took on short notice against a guy he wasn’t expected to beat. Weidman needs to land a hard shot early and put Gastelum on his back. Then, he needs to let the confidence flow back into the hands that made him a champion. Darren Elkins is out to match the longest winning streak of his UFC tenure when he meets Dennis Bermudez. Can Elkins make it five in a row? Is he capable of becoming a true title contender in the featherweight division? DeRose: Of course, Elkins is capable. 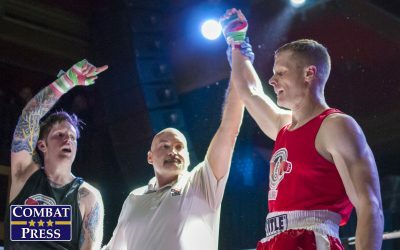 With a win, he becomes a true contender for the 145-pound title. Bermudez isn’t some rag-tag, borderline-ranked fighter. He is a solid opponent with great wrestling and power in his hands. Bermudez is only 2-3 over his last five fights, but that stretch came after a long winning streak where he came very close to being a title challenger himself. Going into UFC 180, Bermudez was on a seven-fight roll with wins over guys like Clay Guida and current featherweight champion Max Holloway. Now, whether Elkins can beat Bermudez is an entirely different question. Elkins hasn’t beat anybody of Bermudez’s quality lately. Furthermore, he is going into Bermudez’s backyard. Elkins has yet to earn a big-name victory. His last two chances came against Jeremy Stephens and Chad Mendes, two of the best featherweights around. Elkins lost both fights. Elkins does have some decent victories, though. He did top Japanese hype machines Michihiro Omigawa and Hatsu Hioki. 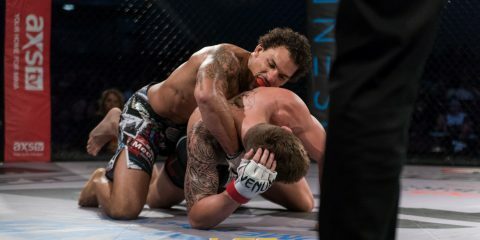 Elkins also holds a victory over Bellator veteran Pat Curran, albeit very, very early in his career. Bermudez has been in a rough patch lately, which helps Elkins’ chances. 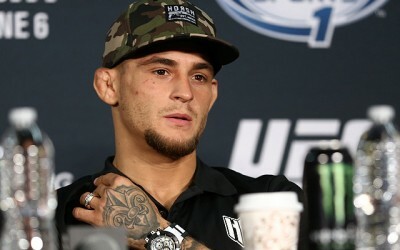 However, Bermudez suffered his losses to Stephens, Chan Sung Jung and Ricardo Lamas. This really is some high-quality competition. It won’t be an easy fight for either fighter, but if Bermudez flashes any sort of form he had during his long winning streak and uses wrestling to help set up some of his striking instead of relying on one or the other, then he should get the victory. Huntemann: The featherweight division is starting to weed itself out a bit. Conor McGregor is no longer part of it, José Aldo is starting to look like his best days are behind him, and Frankie Edgar is on his 576th title shot. So, while the division is still pretty deep and has talent, there is room for someone else to break through the logjam that’s been there for the better part of three years. Which is where Elkins comes in. His performance in his last fight against Mirsad Bektic was nothing short of incredible. He had to battle his way back to win the fight, but he did so with gusto. Since that was Elkins’ first knockout victory since 2013, it’s likely that his fight with Bermudez will go the distance. Elkins will outwork Bermudez. Bermudez has definitely faced a murderer’s row of fighters recently, which probably explains his recent record, but it’s often all about momentum in the fight game. Right now, Elkins is experiencing quite a bit of momentum from his win over Bektic. I may be overrating that victory a smidge, but the time is now for Elkins to make a push into the featherweight top 10. Just call it a hunch. 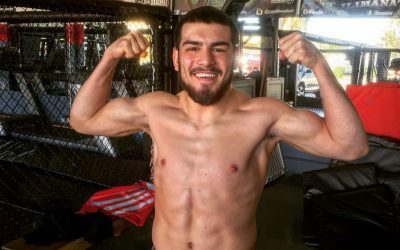 Junior Albini — do we need to know this name? 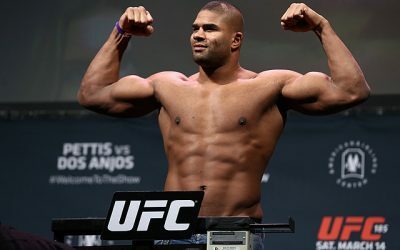 Huntemann: Given that the UFC’s heavyweight division is in dire need of new blood (shameless plug alert! ), then sure, why not? If Timothy Johnson is considered a top-15 heavyweight, then, man, that’s just… something. No offense to Johnson, of course. Albini has finished 11 of his 13 career wins, with almost an equal split between knockouts and submissions. He’s multifaceted and can beat you in multiple ways. This might be the biggest fight (literally and figuratively) on the UFC Fight Pass prelim portion of this card. So, check out Albini and see someone who could perhaps be a factor in the heavyweight division. DeRose: Yeah, heavyweight is in dire need of somebody new. It is, perhaps, the weakest division on the men’s side, which means anybody new is a name worth knowing. You just don’t know who will stick and make a rise to the top. Heavyweight suffers sorely from having the same crop of guys rotating around the top, except for maybe one or two new names, in the past few years. The biggest issue I’ll take with Albini is that most of his victories come on the Brazilian regional circuit. This doesn’t typically scream success lately. DeRose: Jimmie Rivera and Thomas Almeida. Both guys have incredible records — Rivera is 20-1; Almeida is 21-1 — and they are an incredibly bright spot in the bantamweight division. The lower weight classes don’t get enough love, but this could change with Cody Garbrandt as champion. These will be two fighters will both be eventual challengers for the 135-pound title. Almeida has already faced Garbrandt and lost, whereas Rivera is coming off a victory over Garbrandt’s Team Alpha Male teammate Urijah Faber. Both men are already being set up as the next crop of guys in this division. 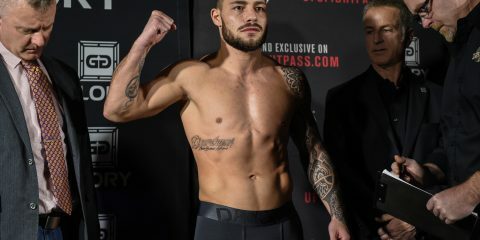 Huntemann: Maybe I just like to say the guy’s name, but how about Godofredo Pepey’s preliminary bout on UFC Fight Pass against Shane Burgos? The scrap has the potential to be very good. 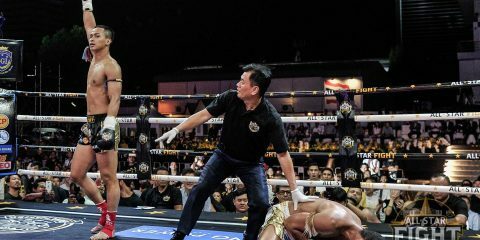 Pepey has won four out of his last five fights, with his lone loss coming to Darren Elkins in a fight that went the distance. Burgos is undefeated and has a finish in all but one of his nine career victories. Again, there’s room in the featherweight division for someone to make a statement. Perhaps that statement could come from the winner of this fight. 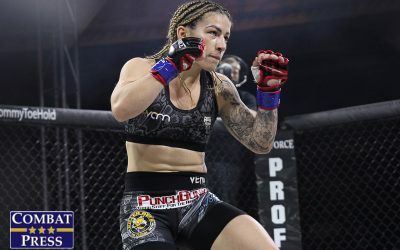 Huntemann: This fight card is taking place on Long Island, yes? It’s Weidman’s backyard, even. I just finished a second viewing of the latest Spider-Man film before starting to work on this preview, so I’m in a New York state of mind at the moment. So how about this: Enjoy that classic Big Apple staple, the New York-style pizza, while watching this card. After all, pizza goes with everything, doesn’t it? DeRose: I went to school right down the road from Nassau Coliseum at Hofstra University for a bit. There are some good places to go around town if you’re there for the event. Get that New York-style pizza my colleague mentioned, which really is some of the best pizza you will ever have in your entire life. I miss it every day. However, work in some rest before and after this card, since it comes in the middle of a huge run of events for the UFC. The next card on the docket is UFC 214 on July 29. If everything holds firm, we get the rematch of Daniel Cormier and Jon Jones, which is absolutely a can’t-miss fight. So relax and enjoy the night in. Save up your energy for the following weekend’s festivities.